NHLP has drafted this advocacy guide about ​Rural Development ​rural ​rental ​housing preservation, which focuses on saving affordable rural homes and protecting residents against rent increases and displacement​. Specifically, this guide is designed to assist legal services attorneys and tenant advocates in understanding and preventing mortgage prepayments, mortgage maturities, and foreclosures in U.S. Department of Agriculture RD properties. 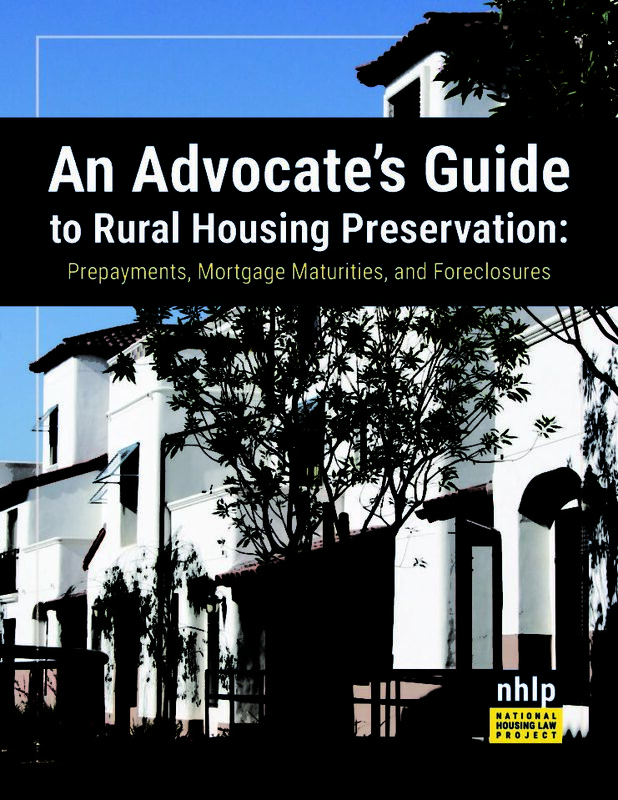 The guide contains important information about key RD housing programs, the main threats challenging the long-term affordability of rural affordable homes, how to identify these threats in your own community, important tenant rights and protections, and litigation and strategy issues to consider. For additional assistance, please contact Gideon Anders (ganders@nhlp.org) or Jessie Cassella (jcassella@nhlp.org).